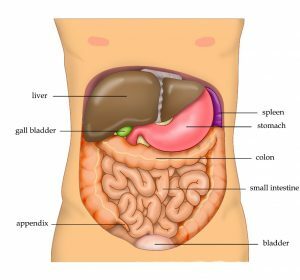 Your liver, the largest and most influential organ (and gland) in the body. Most of us know that too much Pinot Grigio/favourite tipple does it no favours but what does the liver actually do? Also known as the chemical brain of the body it recycles, regenerates and detoxifies. Here are just a few of its 500 + functions! To do all these jobs properly the liver needs good quality nutrition. Unfortunately with many of todays’ poor food choices such as sugar, alcohol, bad fats and processed foods our poor old liver fights an uphill battle. Do yourself a favour, a clean liver promotes improved sleep, energy levels and hormone balance. Support your liver by eating good quality protein, lots of green veggies, essential fatty acids and vitamins and minerals. However don’t be tempted to do some of the popular “detox” diets regularly seen in the media that feature calorie restriction. Usually because of the restrictions you will be missing out on the very nutrients your liver needs. If you are struggling I recommend a full body cleanse which I can give you details on if you are interested.